I’m no Ken Rockwell and I have no desire to go into the insane amounts of mundane details as he does (nor sound like a self-important, pompus tool, as he often does) but I thought I’d give it a go at reviewing some gear. Provided you go into photography with enthusiasm, you’ll discover that it is a fairly expensive hobby and some budget-minded tips are always appreciated. I’m not made of money myself and have had to weigh my investments. 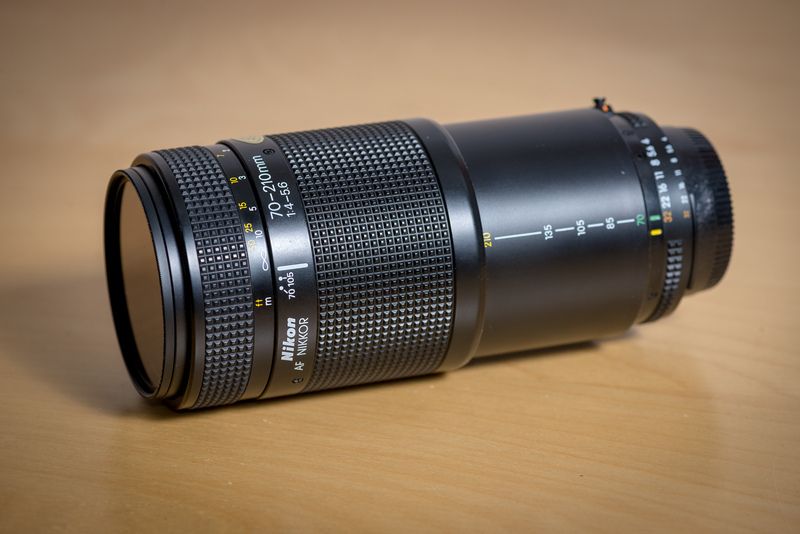 This is a short review of my Nikon “Nikkor” 70-210mm telezoom. These can be had fairly cheap and provide very good value for money. I bought mine a few years back used for about US$120. Mine is in excellent condition and even still has some kind of inspection sticker as can be seen in the photos. Every photographer needs a telezoom of some variety. 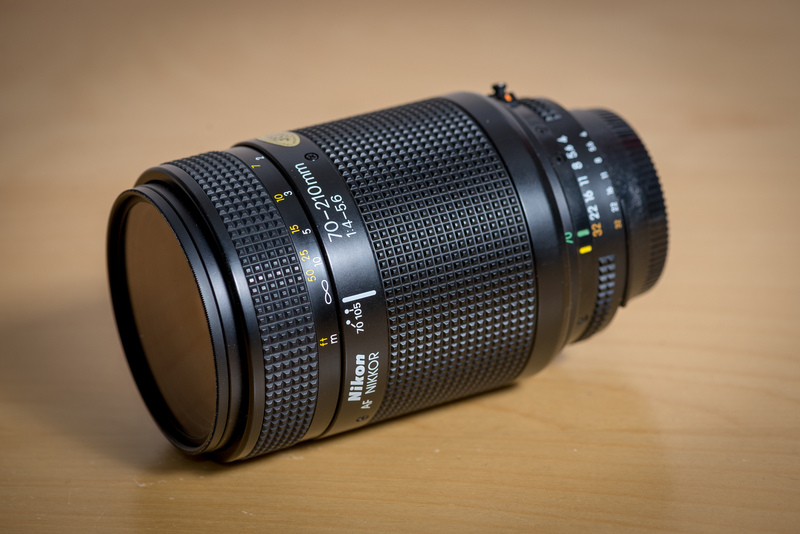 If you’re a Nikon-shooter with limited budget, this lens is a sound investment. It’s decently built, being from an era where Nikon still wished to produce good-quality consumer equipment for a decent price. Optically it’s good but not perfect. I’ve shot thousands of photos with mine and provided you know the limits of it, it can produce very good results. As with most telezooms it has the worst quality at the edges of the specs – i.e. it’s a bit fuzzier at 70 and 210 mm than it is around the middle at 105-134mm. Stop it down and it gets sharper. It doesn’t vignette a whole lot and has an acceptable amount of chromatic aberration that is easily removed in whatever postprocessing software you use. The good news is that distortion is very low, regardless of settings. I have never noticed any significant distortion, at least in my specimen. Keep in mind though that this is a f4-5.6 which means it’s not super-usable in dark environments or to get that insanely shallow depth of field. This lens works great on any fullframe or crop-sensor Nikon. The only real caveat is that it’s the old-fashioned screwdrive autofocus which requires a body with motordrive. The cheap-to-midrange consumer bodies do not provide that and as such you’ll be stuck with manual focus. Also, the autofocus is a bit slow and quite noisy. This is a push-pull contraption. It does grow a bit when you zoom but for a telezoom this is a small lens. There is a lens-hood but I’ve never bothered with it. I’ve never had problems with haze, ghosting or anything like that so a lens-hood seems redundant in my opinion. If you can find one in decent shape for a reasonable price, I’d recommend getting it. 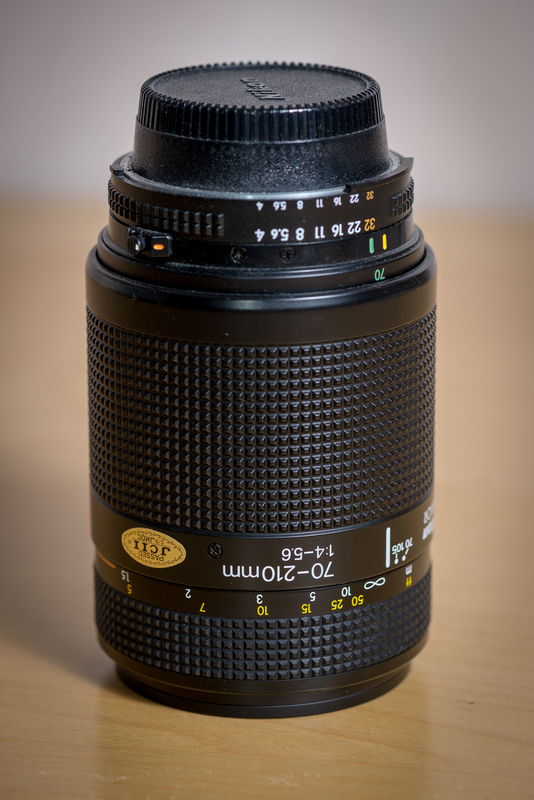 I no longer use mine but that’s only because it’s been replaced by a more professional 70-200/2.8 from Tamron.